Expeditions are a great chance for young people to take real responsibility, whilst getting outdoors and experiencing adventure! In explorers, young people with in teams, with adults, to plan their expedition. That's everything from a route and a menu to the kit they'll need to carry. In addition, they may have something to prepare themselves (e.g. a meal). When taking on the challenge of an expedition, usually explorers are self-sufficient. This means they'll carry everything they'll use for the duration of their expedition, other than top-up water (they'll still need a large water bottle). For each expedition, adults work with young people to create a bespoke kit list. To give you an idea, for a 2/3 day expedition, these items of personal kit should be used as a minimum kit list. The first part involves some training (which may be a practice expedition). Training is to make sure young people are ready and have an opportunity to practice! The 'qualifying' expedition is assessed to meet DofE standards. It'll be very similar to the training (walking distance, kit, menu etc) but there may be some differences, depending how the practice expedition goes! Good food = happy people, so food it important! Adults and young people will plan a group menu to make sure everyone in the expedition team is happy. Expeditions burn calories, so you need to keep going with nutritious food! Food will carry food for the duration of their expedition (without a fridge/ freezer). Explorers will use boiling water to cook their food. Imagine they have a medium-sized saucepan full of water to cook with. This may mean pre-preparing a batch meal (e.g. spaghetti bolognese, chilli-con-carne etc.). You could split it into portions using roasting bags and then freeze it. You'll then take it on your expedition frozen and heat it using boiling water. It's a great way to eat, and it's much cheaper than the expedition food in packets. Always be happy with your food and make sure it's full of nutrients. Avoid planning a menu and then bringing pot noodles. They may be convenient but contain very little energy and nutrition. Think carb-fest, convenience and nutritious with lots of energy! Personal kit - what do I need? Any tips? Plus lots of outdoor shops (Cotswold Outdoor, Go Outdoors etc.) price match - so shop around! You don't need to buy the most expensive, 4 season down sleeping bag out there! To bust through some sleeping bag jargon, see this useful guide. Examples like this would do great for a normal expedition in the late spring, summer or early autumn. If it's only for one use, you may want to consider something cheaper. If it's for repeated long term use, you may want to consider investing in a different sleeping bag. Your sleeping bag should fit in your bag, or be secured (and covered to make sure it's waterproof) to the outside of your bag. Your sleeping bag must be kept away from the rain. You could get a waterproof sleeping bag cover, or make sure your bag is waterproof. The most important thing to remember is it's your sleeping bag, which you'll be carrying. You should be happy with your sleeping bag, especially if you're investing a lot of money into it! Finally, try putting it into your bag and make sure there's enough space for your (and your team's) other kit. Similar to a sleeping bag, you don't need to buy the most expensive rucksack out there! It should be sturdy and it's two most important features are waterproofing and it's ability to help spread the weight of your kit. Rucksacks come in different shapes and sizes. For a 2/3 day expedition, you'll probably need a rucksack 65l or larger. Sometimes, you'll need two bags - you might need a 'day bag'. If you do, just pack a smaller (around 35l) rucksack in to your large one. Make sure the rucksack you buy is good for hiking. You should be able to hold the weight of the empty bag using just the hip belt. See this handy website for more. Your kit (inside) should be in a waterproof compartment. You don't need to buy a waterproof rucksack, because you can get an outer layer. Alternatively, you could buy a waterproof inner and put everything inside. Finally, your hip belt makes carrying a large weight easier - make sure it fits properly (see above)!! Remember, if you have your sleeping bag, or roll mat, on the outside of your rucksack make sure it can be covered if it's raining! Similar to above, you don't need to buy the most expensive waterproof out there! It should be sturdy and it's two most important features are waterproofing. 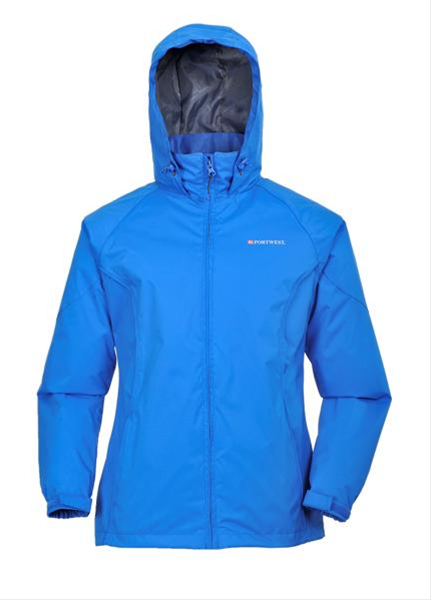 Waterproofs come in different styles and weights. Think about when you'll be wearing it (summer, winter etc.). Soft-shells (like this) are great, but aren't fully waterproof. Ask about the waterproofing of a jacket before you buy. Gore-tex is a 'gold standard', but isn't necessary for most 'expeditions'! Brands like The North Face and Berghaus offer their own, cheaper, waterproofing material. The main difference is the longevity and the altitude at which the waterproofing will remain waterproof. Gore-tex works in higher altitudes than most others. Lightweight waterproof jackets are ideal. They can be worn in the warm summer and you can add layers under them in the winter! You could also buy some waterproof trousers, but they're not essential. Boots, trail shoes and trainers - all great for different purposes, so it very much depends what you're going to be doing! For Duke of Edinburgh expeditions, you should wear hiking boots with good ankle support. When you buy, be sure there isn't much movement of your foot. Your heel shouldn't be pushing against the back of the boot when walking uphill. Often, shops have little stands you can try this on. You should 'wear your boots in' but it takes much less time in fabric boots than in leather ones. Make sure you're happy whilst you're still indoors and still have the labels on! You may have (understandably) been reluctant to invest in a good pair of boots whilst your feet were rapidly growing. As an older explorer, your feet may have stopped growing so now's the time to invest in a good pair of boots - it's much cheaper in the long term!